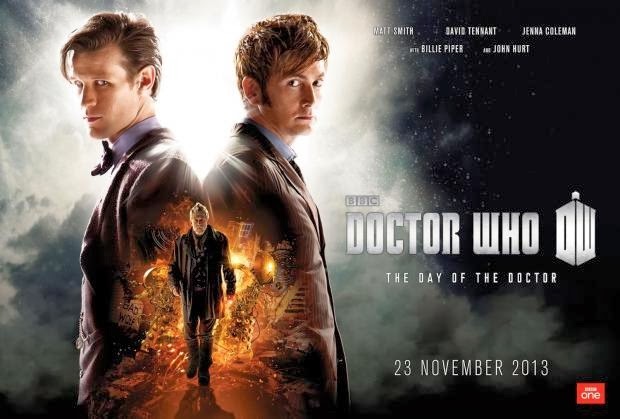 Fans of Doctor Who were not only were treated to David Tennant reprising his role as the Tenth Doctor in the 50th anniversary special, The Day of the Doctor, but they also got the chance to see Billie Piper return to the iconic British sci-fi series, even if it wasn't as his Companion 'Rose Tyler' but as the sentient interface of 'The Moment' doomsday weapon for John Hurt's 'War Doctor'. 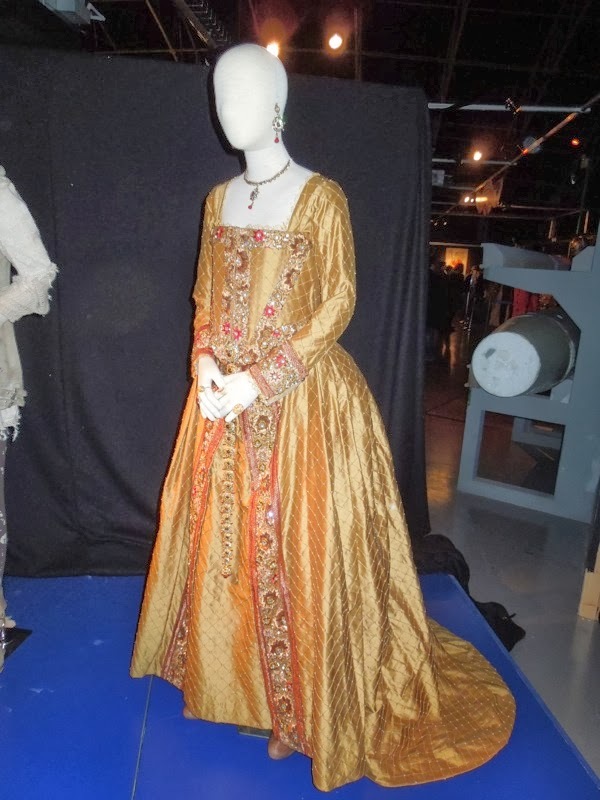 In addition we also got to see the background to the Tenth Doctor's previously mentioned marriage to 'Queen Elizabeth I', with Joanna Page playing Her Royal Majesty. 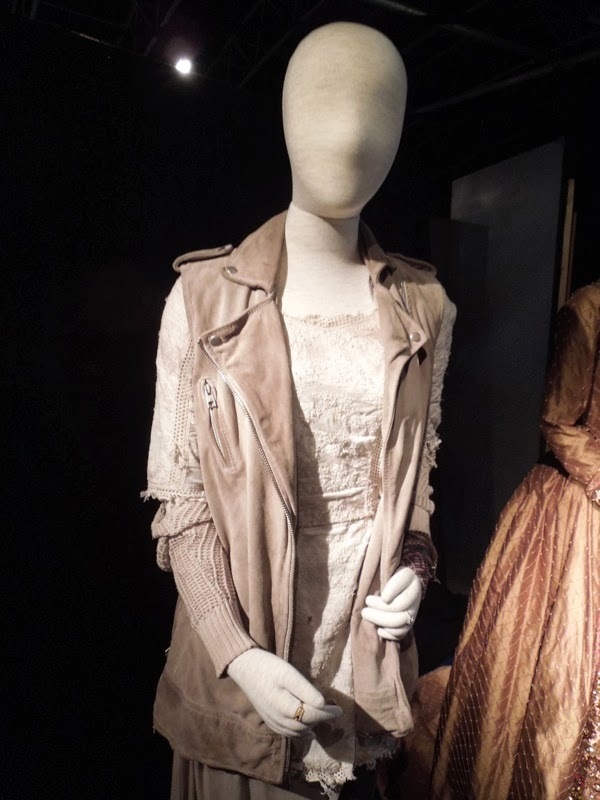 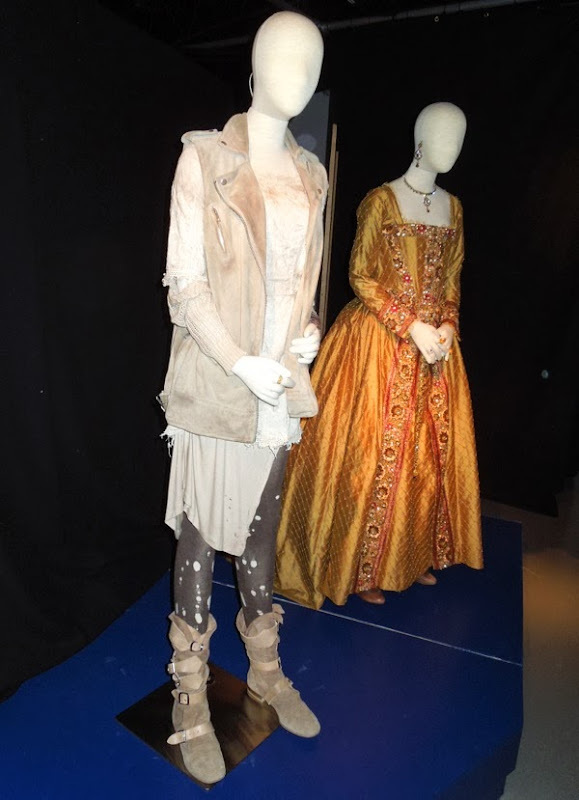 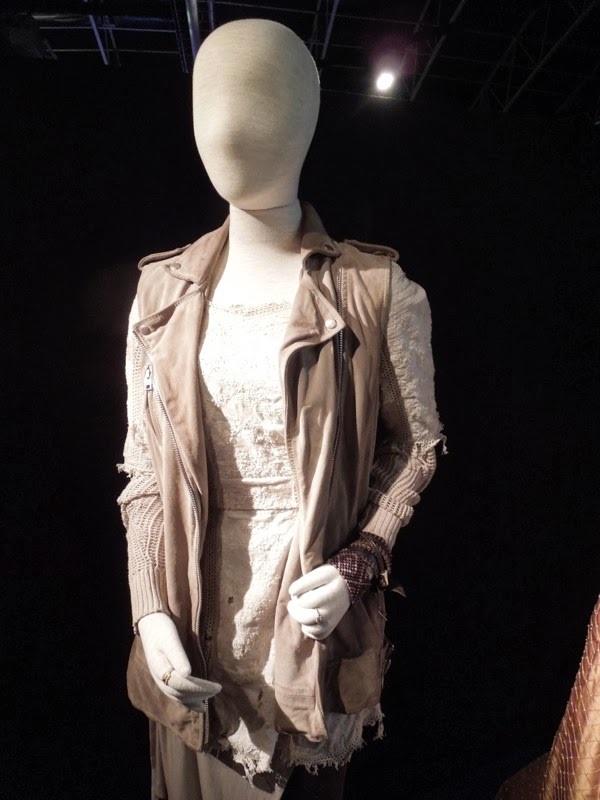 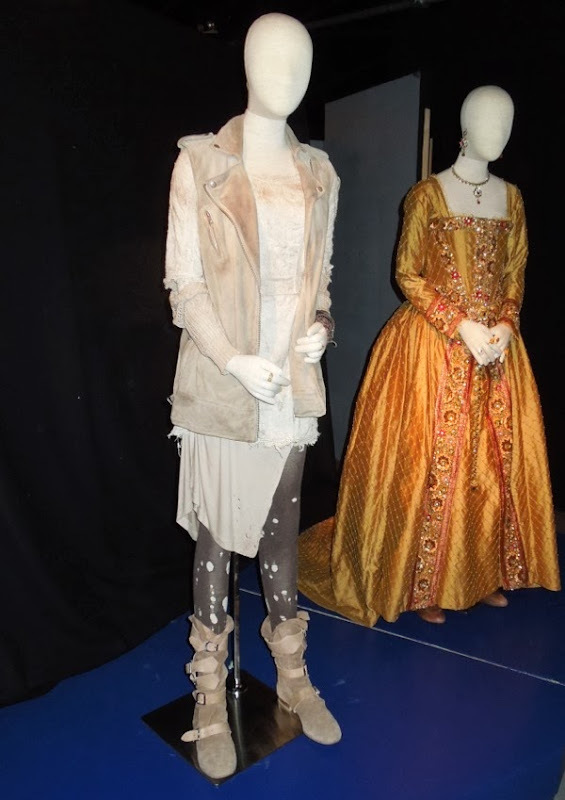 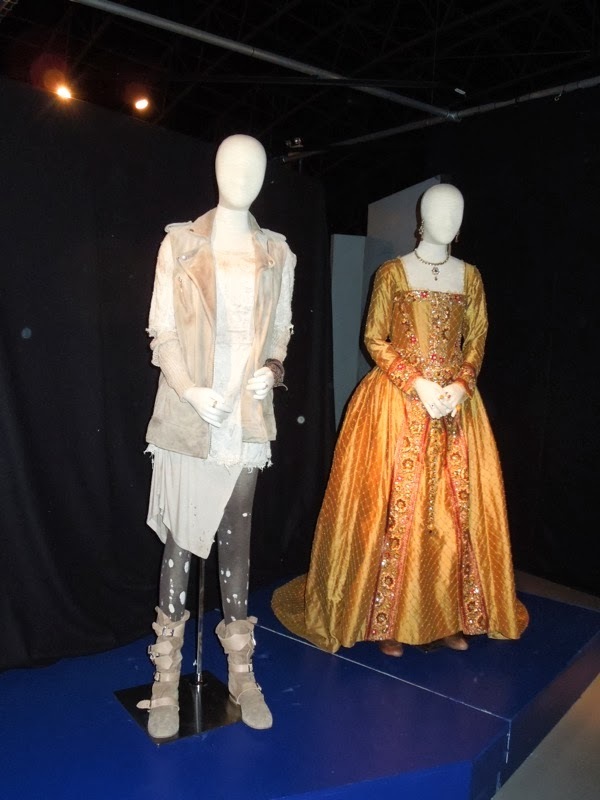 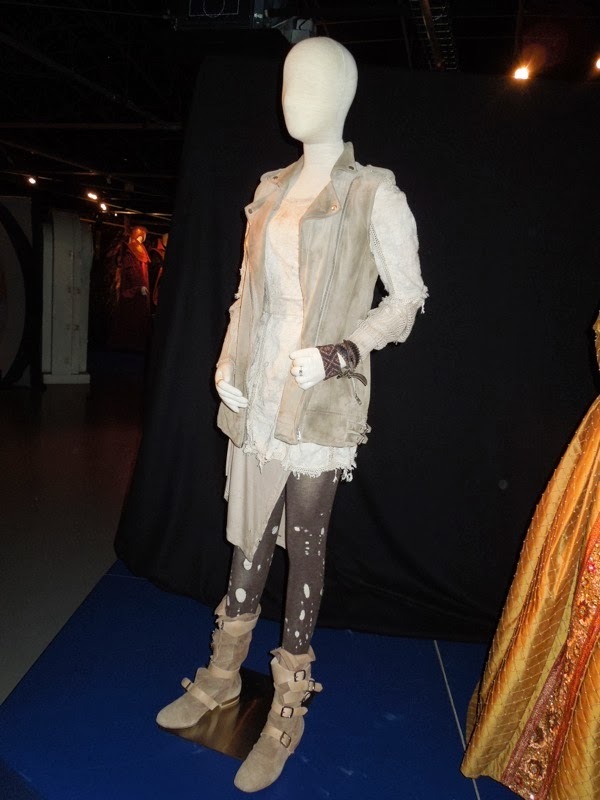 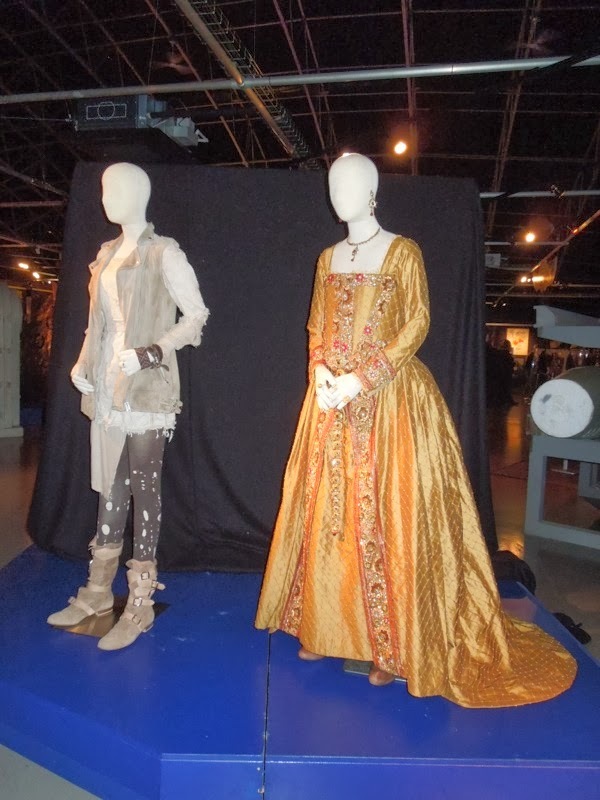 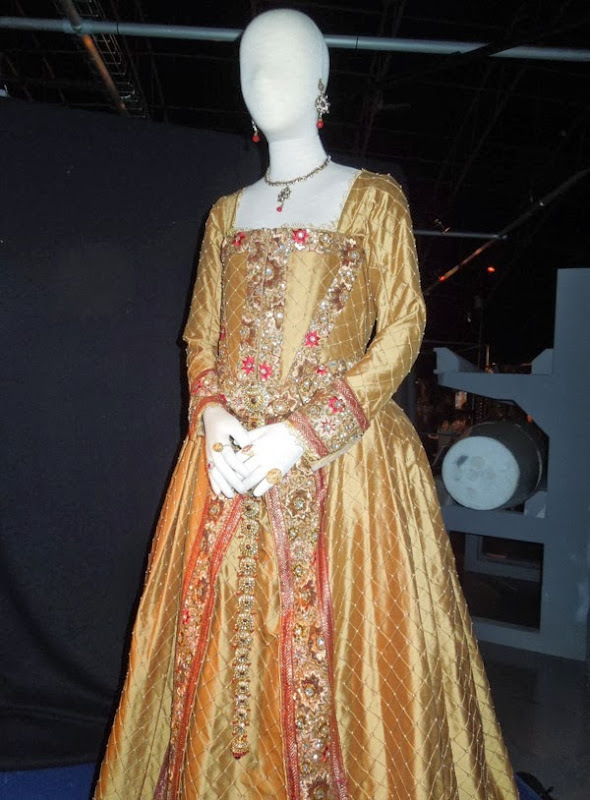 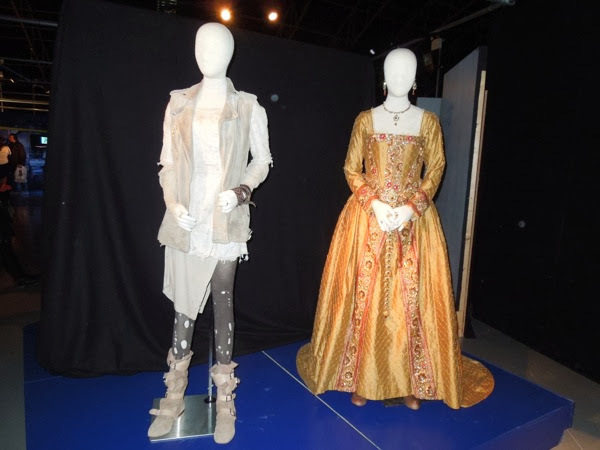 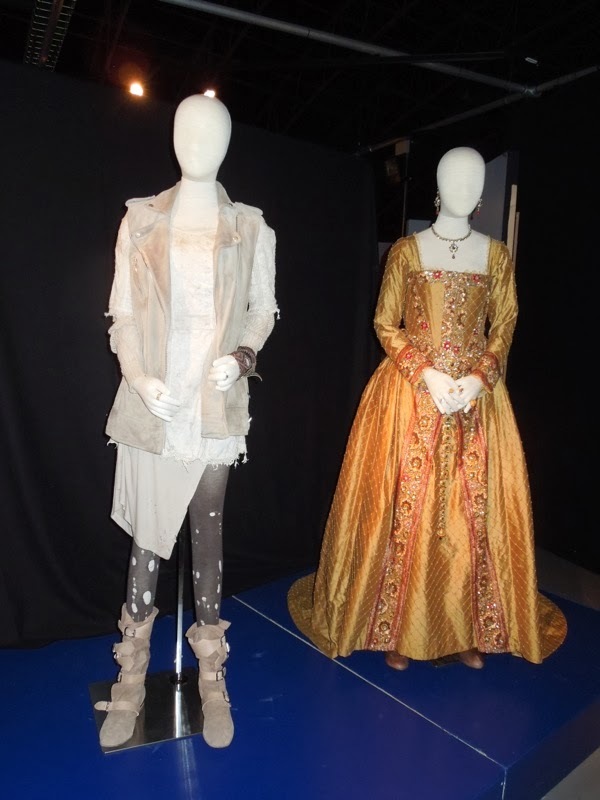 These original costumes designed by Howard Burden and worn by the actresses in the anniversary episode were photographed on display at the Doctor Who Experience in Cardiff Bay, Wales on December 9, 2013. 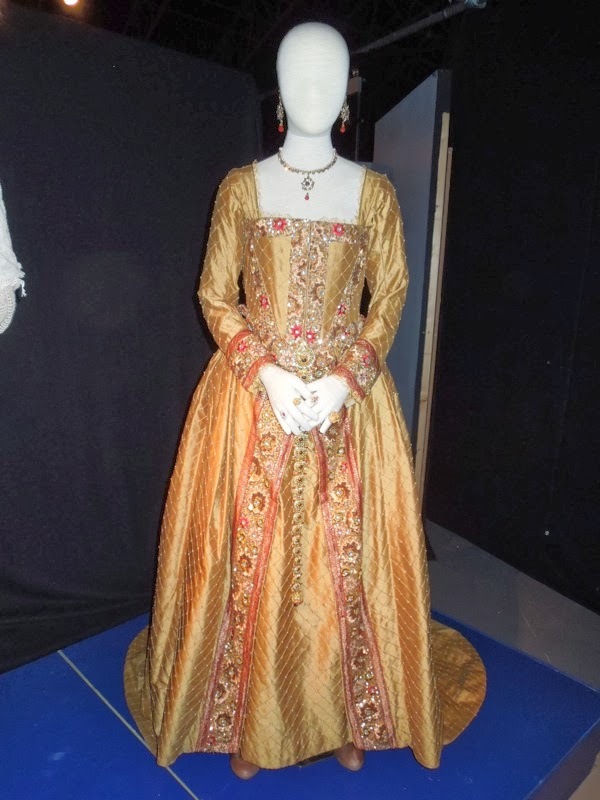 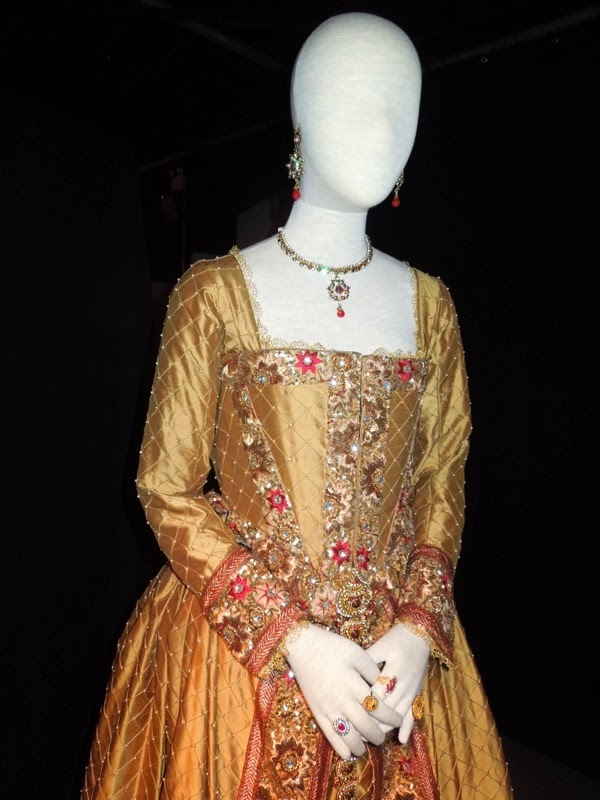 I know that my regular visitors and the costumers out there will especially like the intricate period style Elizabethan gown. 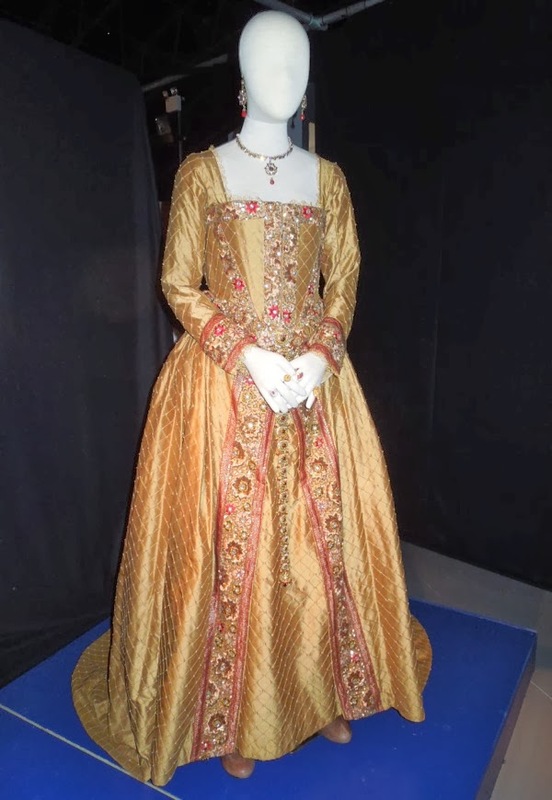 Queen Elizabeth I gets embroiled in the Zygon invasion of Earth when one of the shape-shifting aliens impersonates her and the Tenth Doctor has to establish which Queen is the real article. 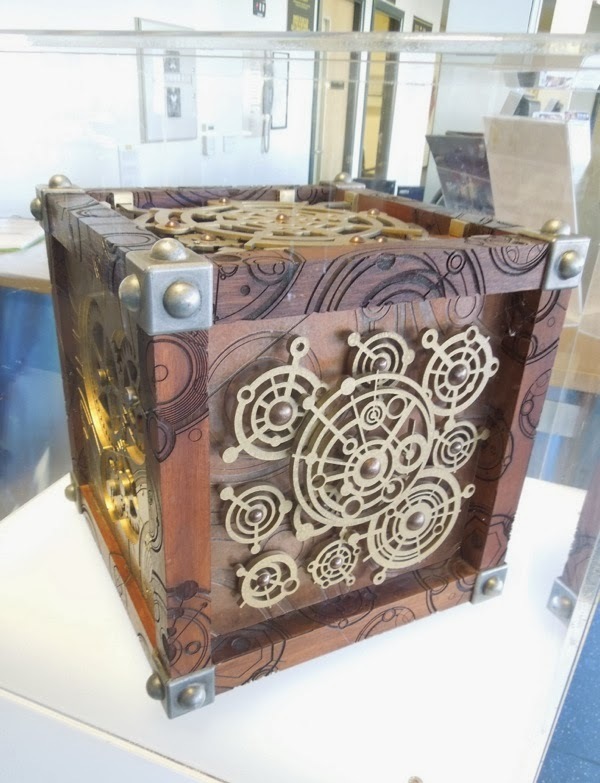 In this special episode 'The Moment', or 'Galaxy Eater' weapon, projects a holographic image of Rose Tyler's 'Bad Wolf' persona to interact with the battle-weary 'Dark Doctor'. 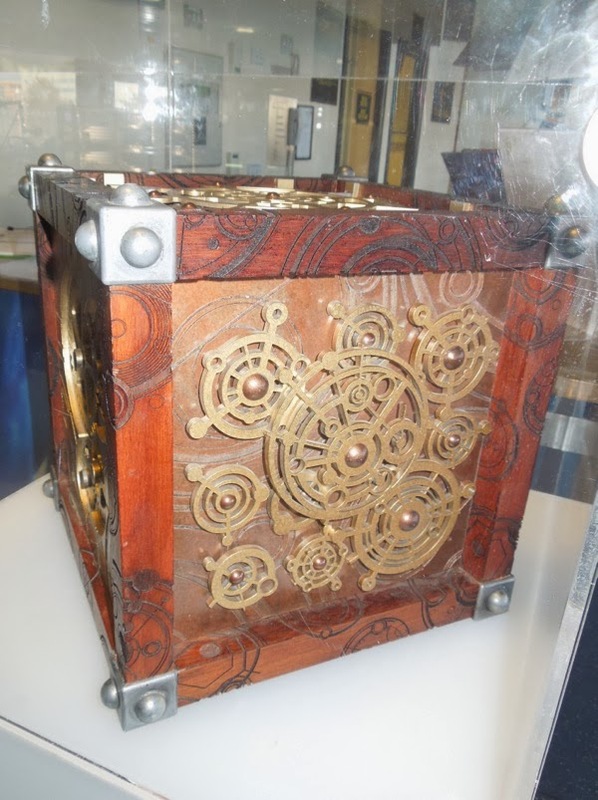 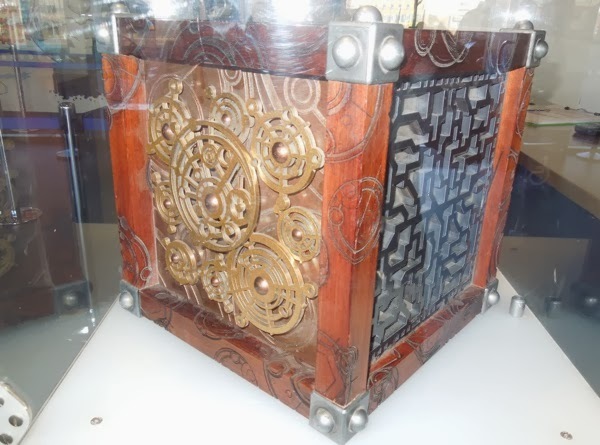 Also on display in the Doctor Who Experience foyer was the forbidden doomsday super weapon, 'The Moment', prop used in the episode, which the 'War Doctor' was playing to use to end the Time War between the Time Lords and the Daleks. 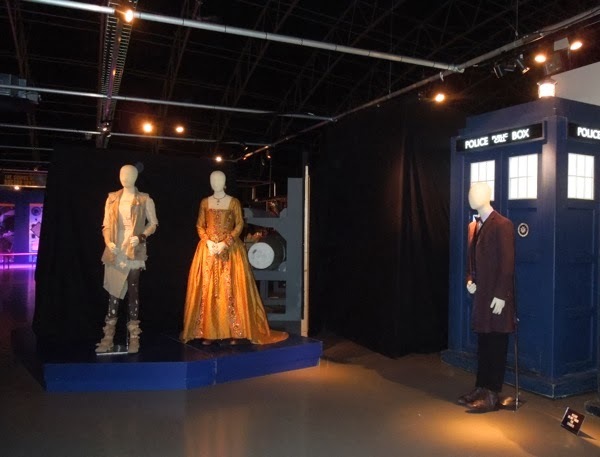 If you're a fellow Whovian, be sure to check out all these other fantastical Doctor Who costumes, models and props on display at the Doctor Who Experience.